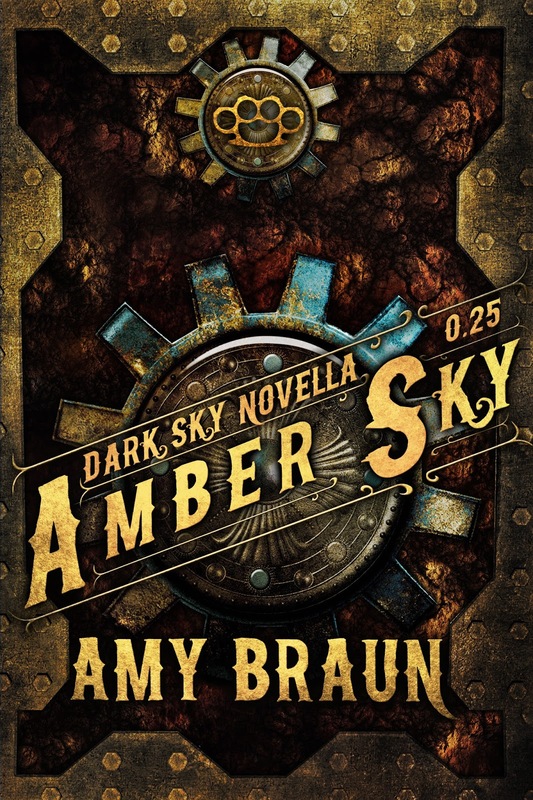 I'm really excited to introduce you all to the author of the Dark Sky series, Amy Braun. 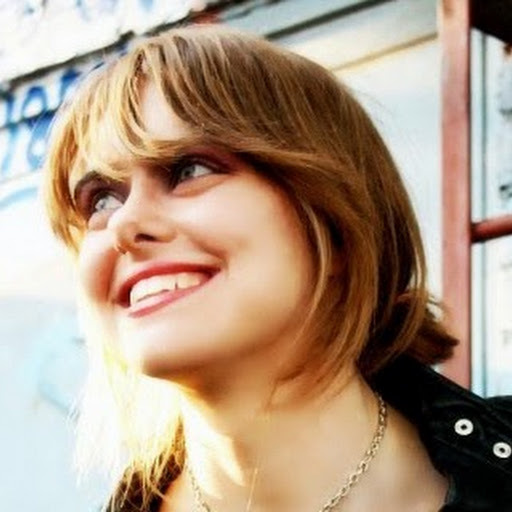 She's agreed to answer some questions about her upcoming release, Amber Sky and has also given us a playlist to go along with it. 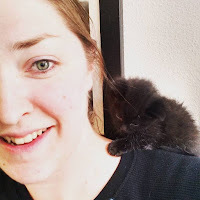 If you would like to see what kinds of questions she has for me and Hunter, stop on by her blog http://amybraunauthor.com/ for some more fun. Why did you decide to write a prequel to your Dark Sky series? I absolutely loved the world I created for the novels, as well as the characters. Since I plotted the final novel to be told from the two main character’s perspectives, I felt the side characters needed some love. I hinted at their pasts in the previous novels, but the prequel novellas were a chance to really expand on who they were and how they became part of the Dauntless Wanderer’s crew. I started with Nash’s story because when I referenced it in Midnight Sky, I felt the compulsion to stop what I was doing and write the prequel. Nash has endured tragedy and horror, but he kept his compassion and is a bleeding heart. I wanted to know why, so I told his story. Do you plan on writing another prequel? Yes indeed. It’s actually already written, just waiting for a response from the Beta reader, then it’s off to the editor. The second prequel will be called Smoke Sky. It’s going to release in early December and be told from the perspective of Gemma, another side character and Nash’s lover in the main series. Who’s your favorite character, Nash or Sawyer? Hmm, this is a hard choice. I love them both for different reasons. Nash has a rough looking exterior and is kind of sad because of his past, but he’s a big softie on the inside. Sawyer grew up harder as the son and younger brother of two ruthless pirates. He’s gotten used to being discarded and pushed away, and while he’d never admit it, he’s lonely and looking for a friend. They’re both great characters and interact well with each other, so I honestly can’t choose between the two! Are the Hellions some weird kind of vampires or an alien race? They’re kind of a hybrid. I modeled them after vampires that I enjoy (the classic monsters, not the sparkly drama queens), i.e. : blood-drinking demons. They wear specialized suits that let them go out in the daylight–– a black jumpsuit, gloves boots, and a mask that conceals their head and has a long needle-tip for them to drink blood like a mosquito. Technically, they’re from another realm in the world I created, so they could be considered aliens. I haven’t read the Dark Sky series yet, but I have to know if the Dauntless Wanderer ever flies again? Spoiler alert, but yes. It’s broken in the first book, Crimson Sky, repaired but unused in Midnight Sky, and used fully in Obsidian Sky, the third and final novel which will be out in February. I won’t give the context, but let’s just say the Dauntless is going to cause quite a stir. If you could pick any actor to play Nash, who would it be? Probably a younger Lance Gross. He has experience fighting the supernatural. I’ve always got a bunch of things on the go, but my most preveleant works are two urban fantasy series. I’m keeping them mostly under wraps for now as both are going to be queried to agents and I don’t know if they’ll be traditionally or independantly published yet, but I’m willing to share a couple details. The first series to be queried is an urban fantasy mashup that’s half Rick Riodran’s Percy Jackson series written for adults and half the Supernatural (the TV show) with the Captain America movie fight scenes. The second series, currently on its second draft, is a post-apocalyptic urban fantasy with Gargoyles, fallen angel mythology, and super-powered soldiers. My hope is that one or both will be published next year in the spring or summer. Depends how lucky I am with literary agents. I’m reading Drop Dead Demons (Divinicus Nex Chronicles, #2) by A&E Kirk. It’s a fun YA series, though I’m waiting for a few other books to arrive in the mail. I’m excited to read Unraveled by Jennifer Estep (one of my writing inspirations), all of Sarah J. Maas’s books (curious to see what the hype is about), and the Soul Eater books by Pippa DaCosta, my new favorite urban fantasy author. Which one of your characters could live in Hunter’s world? I’m pretty sure Nash and Sawyer could handle it. They’re both experienced fighters and know what confronting the supernatural is like. They’re also very protective and loyal, which are important assests to Hunter’s team and her world. I loved the answers Amy had for my questions and this playlist is EPIC! Make sure you pick up a copy of Amber Sky on October 4th, 2016 and find out how Nash and Sawyer met. 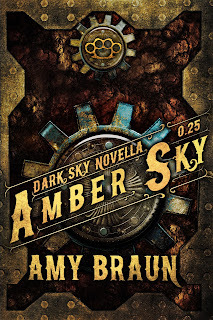 You can find out more about all of Amy Braun's other novels at her web page http://amybraunauthor.com and make sure you join me in reading the Dark Sky series. We have to make sure we are all caught up before Obsidian Sky comes out, right?